NEWSFLASH! 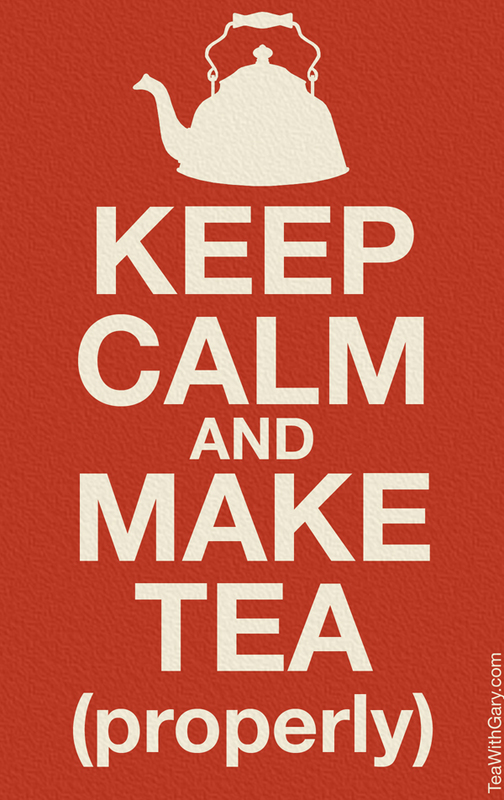 Most Brits don’t know how to make tea! Okay, let’s all just keep calm and carry on here. I have certainly addressed the subject of making the perfect cup of tea before. And scientists have weighed in, too. Why, there’s a British standards document from the Royal Society of Chemistry that explains it step by step. Even George Orwell defined the ideal cup (although I disagree with him). So how do we deal with this gormless assertion from The Telegraph? We shall take it one item at a time, beginning with the definition of knowing how to make a cup of tea. You see, the world is filled with tea Nazis: people who aren’t happy with figuring out how to make their tea; they have the cheek to tell you how to make your tea. I am a much more mellow fellow myself. I believe that if you make a cup of tea and you enjoy it, you’re doing it right. You may not be doing it my way, or the Royal Society of Chemistry’s way, or George Orwell’s way, but you’re doing it in a way that makes you happy. It doesn’t get much more “right” than that. But let’s set my sappy altruism aside for a moment and examine what The Telegraph and the scientists at University College London have to say. They do, as it turns out, have some quite valid assertions — although their science reporter may have been a bit hasty in his conclusions. I’m going to start out by making an assumption here, and that is that we’re specifically talking about black tea. I make my assumption based on the fact that their entire article assumes you’re adding milk to your tea (I have never met anyone who added milk to white or green tea, although I did meet one sad little man who put milk in his oolong), and that you’re using boiling water, which is perfect for black tea or pu-erh but ruins white or green tea. One of the characteristics prized by British tea aficionados is astringency (which Lipton’s calls “briskness”). Your average breakfast tea in the U.K. is steeped until it is quite “brisk” (which I call undrinkably bitter). The astringency is then cut with milk, and possibly sugar as well. Generally speaking, when I want milk I drink a glass of milk. When I want tea, I want it to taste like tea. I take mine black, which means I use shorter steep times to control the astringency. He could well have stopped after the first three words. It is obviously subjective, indeed. Perhaps the first 10,000 chemicals that emerge are the ones you find tastiest, and the last 10,000 are the ones that I prefer. Should we both steep our tea the same? Of course not. On an unrelated note, I sometimes feel that my formal training in electrical engineering and computer science does not really qualify me to speak as an expert on tea. Seeing The Telegraph quote a professor of “materials and society” as a tea expert makes me feel better. 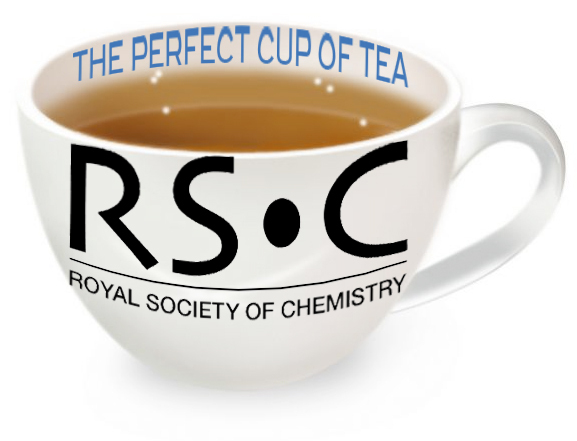 The article explains that the UCL people have an answer to the question of whether the milk should be added before or after the tea is poured. They don’t, however, address the issue of whether the milk should be there in the first place. That’s because it’s subjective. Some of us prefer tea, instead of hot milky drinks! I also particularly enjoyed their discussion of a tea study by a milk company, which quite refutes the premise of the article. A study carried out by Cravendale milk in 2011 found that the perfect cup of tea needed eight minutes (two minutes with the tea bag or leaves, six more afterwards) before it reaches optimum flavour and temperature. UCL tells us that tea must be steeped “far longer than the toe-tapping two minutes allowed by most drinkers,” but Cravendale says that a two minute steep is just fine as long as it can sit in milk for six minutes after it is steeped. So who do we believe? The scientists or the milk company? Make your tea the way you like to make it. Steep it until it tastes good. If you want to add milk, cream, lemon, sugar, ice cubes, honey sticks, a sprig of mint, a dash of cinnamon, or a soupçon of cayenne, then by all means do so. 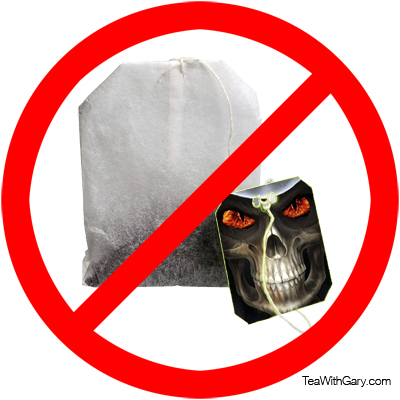 As for me, I shall eschew teabags, brew my favorite black tea for 2:30 to 3:00, and sip it straight. As I write this, I am drinking an 8-year-old aged shu (“ripe”) pu-erh tea from Vital Tea Leaf in Seattle. I started by doing a 20-second “wash,” swirling the leaves in boiling water and then pouring it off. My first infusion was 2:00, and the second was 2:30, as I wanted it a bit stronger. Proper British tea drinkers may want to stop reading now, as I steeped it neither in a mug nor a ceramic teapot, but in a brewing device made of (*gasp*) plastic. After drinking rich, earthy teas like this, it’s hard to go back to plain black tea!